I rarely ever read ESPN.com. I find them to be rather biased, despite a talented team of writers, bloggers, and reporters. I am a bit of a media simpleton, preferring to stick to a sport’s individual site, like MLB.com or NFL.com. But for whatever reason, I did find myself reading an article that asked the (possibly rhetorical) question of whether anyone could stop the San Francisco Giants when they began the 2014 season 42-21. Naturally, as if driven by the eternal jinx that the media seems to place on teams upon proclaiming their greatness, the Giants began to fade, and played under .500 ball the rest of the way. But then a funny thing happened — they won their third World Series in five years. Hmm. Not every story is a rags-to-riches one. People are in love with teams like the 2011 St. Louis Cardinals (and perhaps rightfully so, because people love stories of perseverance), who were 10.5 games out of a wild card berth in late August and not only rallied to make the playoffs, but won the World Series. More often, teams are dominant from the start, then weather the storm of expectations, injuries, and the ever-growing target on their collective backs before re-energizing themselves for a deep playoff run. I would appear short-sighted and possibly biased if I kept this argument strictly to baseball, even as the 2007 and 2013 Boston Red Sox and 2005 Chicago White Sox, who nearly squandered a 15-game lead in the American League Central before going on the most dominant playoff run in the Wild Card era, are further proof of this statement. So let’s shift gears for a second. Before I tell you about the 2013 Chicago Blackhawks and 2012 Baltimore Ravens, I don’t want to necessarily dispel the notion that it’s important to play your best ball heading into the postseason, because, after all, why would you want to limp into the second season? But sometimes, there is an on switch teams can just flip back on to the early months of the year. The aforementioned Blackhawks began the 2012-13 season historically strong, going 21-0-3 before finally suffering a regulation loss in game 25. Naturally, they realized keeping such a pace was impossible, so they finished that strike-shortened season 10-9 overall and people began to wonder if their scorching start was a fluke. The Hawks found “it,” which included a rally from a 3-1 deficit in the conference semifinals against their longtime nemesis, the Detroit Red Wings. They also overcame a 2-1 deficit against the Boston Bruins in the Stanley Cup finals. After that middling 10-9 stretch, they went 16-7 to win their second title in four years. 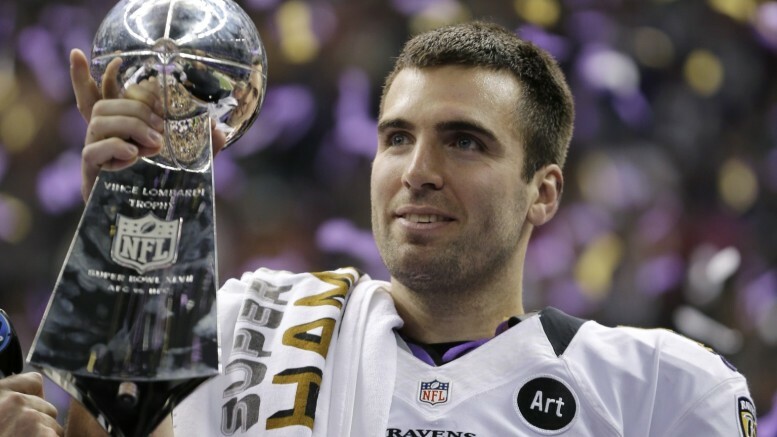 The Ravens wrote a similar script en route to their Super Bowl XLVII victory. They rebounded from a heartbreaking defeat in the 2011 AFC championship game and went 9-2 in the first 11 games of 2012, including Ray Rice’s incredible 4th-and-29 catch-and-run at San Diego. But then came adversity. The Ravens lost three straight and fired their offensive coordinator, Cam Cameron, in the process. The sky was falling, and everyone figured the Ravens would falter in January again. Buoyed by Ray Lewis’ announcement that this would be his last ride, the Ravens throttled the Colts, then pulled off one of the most thrilling upsets when they outlasted the Denver Broncos in double overtime of the divisional round. They dominated New England in the second half of the AFC title game before fending off a furious 49ers rally after the lights went out at the Superdome in the Super Bowl. Like the Blackhawks, the Ravens rediscovered the formula that got them to 9-2. We could also talk about the 2011 Dallas Mavericks, who began 24-5 before losing 10 of their next 13 yet ultimately knocked off the favored Miami Heat in the NBA finals, but I think the point is clear. So, while the sports world waits to see who will be crowned champions in the NBA and NHL in 2015, we can start thinking about the teams making headlines in baseball in early May. Two years ago, the Red Sox got off to a fast start at 20-8 before a mini-losing binge, but won 97 games and the World Series. This season, the Yankees are conjuring up memories of their late-90’s clubs, starting 21-12 behind a lot of home runs and an untouchable 1-2 punch at the back end of the bullpen. The Cardinals are 22-9 and miles ahead in the NL Central, while the Dodgers, another preseason favorite, are 21-10. Don’t expect either team to win 110 games, as things balance out to some degree over the course of 162 games, but don’t forget about them either when they start to face some adversity. No, this is not an exact science, as the New York Giants will tell you from their 2007 and 2011 seasons, when they went a combined 5-11 over the second halves of those seasons before winning all four playoff games. And the 2007 Patriots started as well as anyone ever has, going 18-0 before losing the Super Bowl to those Giants. People always remember how a team finishes, but it’s important not to forget how they started, too. Be the first to comment on "No, Actually It IS How You Start, Not Just How You Finish"